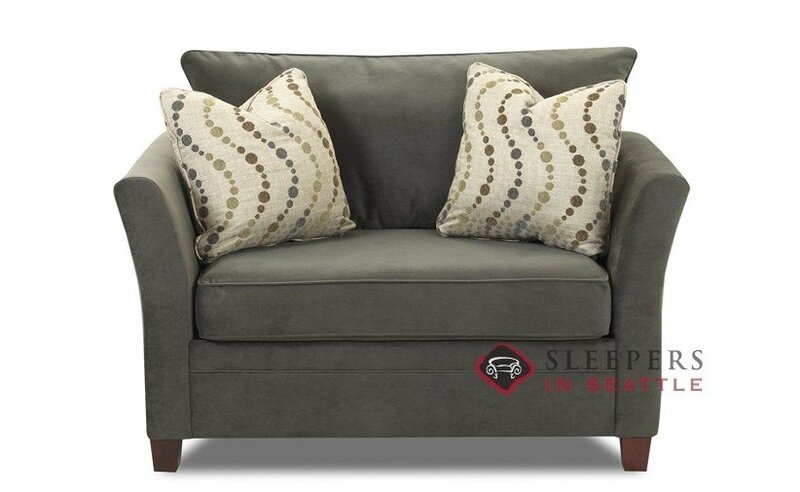 The stylish Murano Chair Sleeper offers flared arms, a graceful and slender form, and square accent pillows. I see that the overall height is 28". Is that including the "removable" back pillow? Is this a removable back pillow? What is the height ONLY up to the top of the spring-back? My doorway is only 28" wide--will this fit through it? 28" measures from the floor to the top of the 'hard-back', including the feet of the Murano but not the extension of the back cushions past the back of the frame. The back cushions are unattached, and can indeed be taken off. 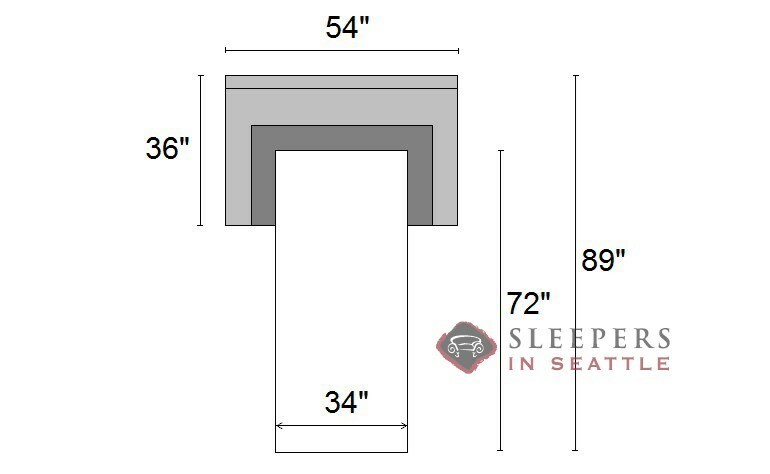 This piece can certainly be delivered through a 28" doorway--very easily if we take off the feet, leaving only a 25" height. are the feet removal on the murano sleeper chair? Absolutely, the feet of the Murano Sleeper can be easily removed--which can help facilitate delivery through a tight space. What does "per piece" mean? Sorry for any confusion, Diana. "Per piece" refers to sectionals, really. 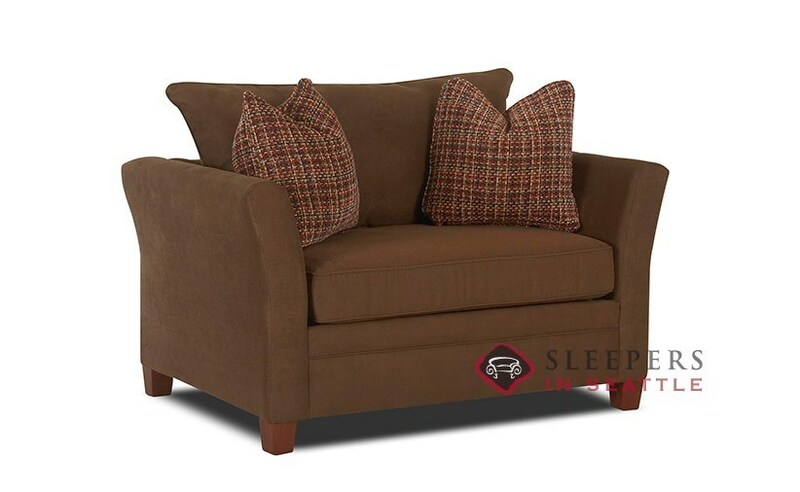 A chair sleeper would be 1 piece, as would a full sleeper, queen sleeper, etc. 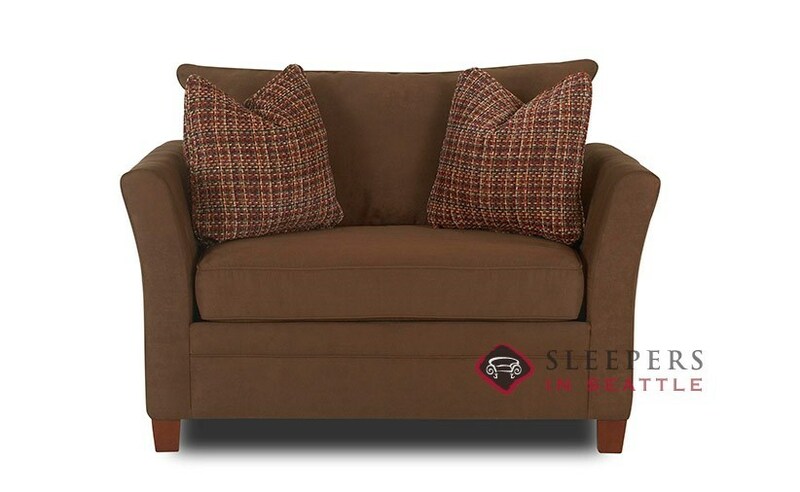 A SECTIONAL would be equal to 2 pieces. 7 inches! 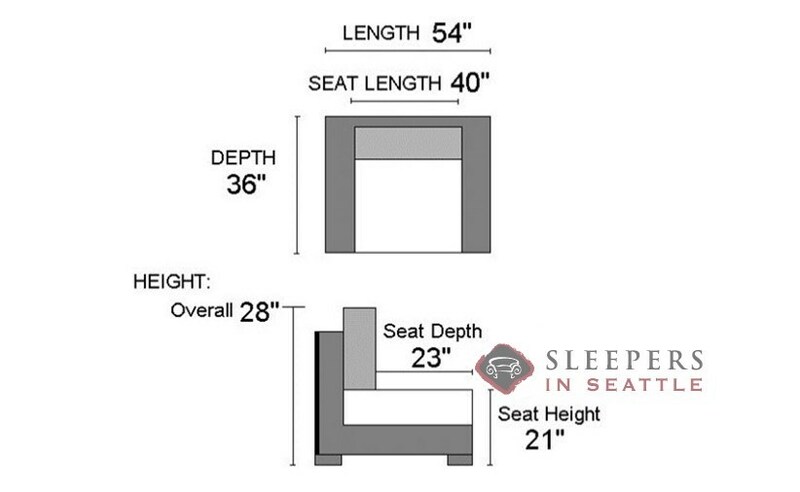 The top of the pillows extend up to 35" above from the ground (as opposed to 28" for the hard back). I would have to get this through a 29 inch doorway. was never good at geometry. can you tell me if this is possible. Absolutely! 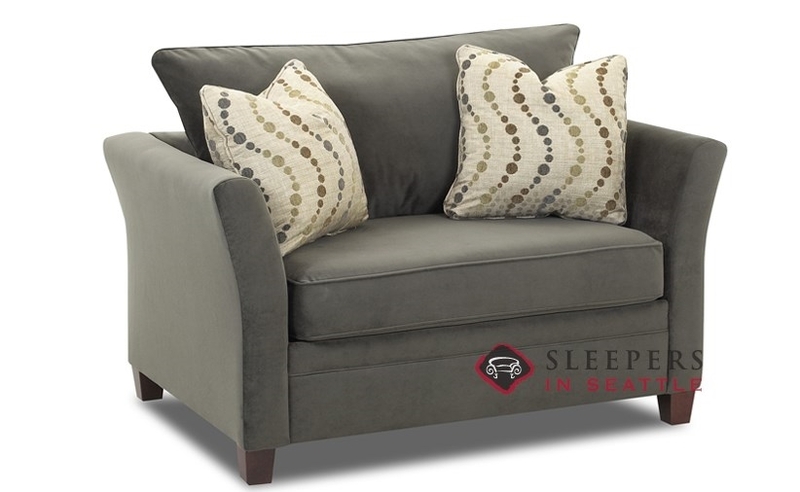 The Murano Chair Sleeper can be delivered through a 29" doorway with no trouble at all.